Tayport have appointed former Dundonald Bluebell manager Stevie Kay to succeed Charlie King. Kay, who has also managed Oakley United and Ballingry Rovers, will be assisted by former Glenrothes manager Willie Campbell. 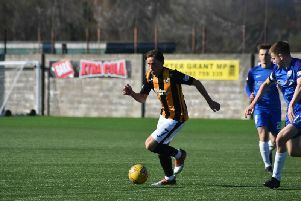 Ex-East Fife and Raith Rovers midfielder Ryan Blackadder will also join the coaching staff at the Canniepairt. More in this week’s Fife Herald - out on Friday.